The spinal column is made up of bones also known as vertebrae separated by Intervertebral Discs. The Intervertebral Discs themselves are made up of an inner jelly material and an outer fibrous material. Their function is to absorb shock with weightbearing activities. 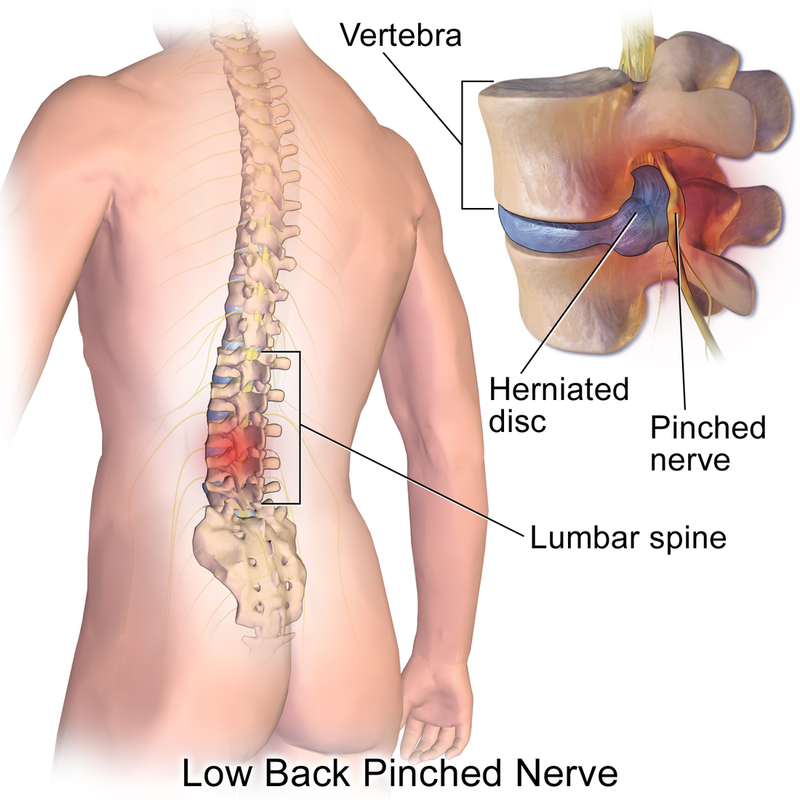 A herniation occurs when the inner jelly material leaks out into the outer region of the disc or into the spinal canal. When the disc material leaks into the spinal canal and presses against a spinal nerve it causes numbness, tingling, or pain in your extremities and is termed “Sciatica.” Individuals between 35 to 45 years of age are more prone to disc injuries.